The engine is cool from BMW. The whole I drive and dash components are a little jarring! It looks out of place. But then you realise that you would 100% prefer to have the dash components and infotainment of BMW than Toyota. Looking at 2016+ 140i tuning and seems like the B58 is quite the sleeper. Standard remap takes the car to 430BHP & a remap with supporting mods can push 455BHP. Good to see there is capability there for the tuners. Toyota also have Lexus to cover the top-end market. I fully expect TD/Fensport/Abbey to have something up their sleeve for this car - as they all did for the '86/BRZ. This is true... although who knows, there may be a more 'Supercar' version of the mk5 developed if people show demand for it. If the market holds well for these and residual values stay high - I can't see why it wouldn't happen. Looking at SHMEE's "I bought it' video I did notice the vent's around the front lights/arches which I thought would be used for brake duct cooling... very tidy that they've incorporated this already. It's almost like Toyota want you to go and start bolting and strapping things to it for the track . Absolutely, its a very tune friendly engine, 500HP is achievable from them. But from experience of modding, I'd just go tune for around 430HP and leave it at that as anything beyond won't make it much quicker and more a handful to drive. 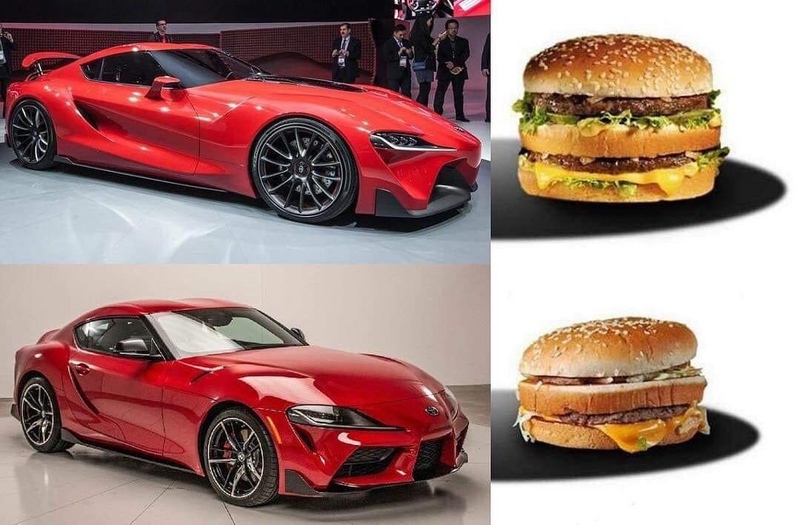 I can also see maybe Toyota releasing more powerful or limited edition model in the future with maybe say 400HP and some additional weight reduction if they decide to do a more dedicated performance/track orientated version of the car. To be fair the production car isn't that far off what was represented in the concept, the main issue is where it's smaller the features are a bit squashed looking, shame that, bit understandable given the shared platform. More than you can afford pal... 'Toyota'! I'd trust a review that's actually spoken to Tada, the guy who did the aero design over some other thread with no sauce.. Fake news on fake vents? We won't know for sure until the car is with a reputable tuning company. The fake vents don't bother me but it is a nice bonus if they can be made functional. I loved the B58 in my M140i, and yup there's a lot of different routes available. There are numerous BMW's with a starting price of more than £75k. The 850's are £100,000 for Coupe and £104,00 for convertible not £75k for a start. Sorry, meant starting price at £75k Doh! I didn't bother to mention the i8 as that is a silly comparison being an elec/hybrid jobby but an eye gouging £120k in my local dealer when I was looking round one it's expensive. Still the sentiment remains that given BMW had a lot of input they wouldn't particularly want this car competing with sales of the 1st party cars despite the differences in brand and target market. 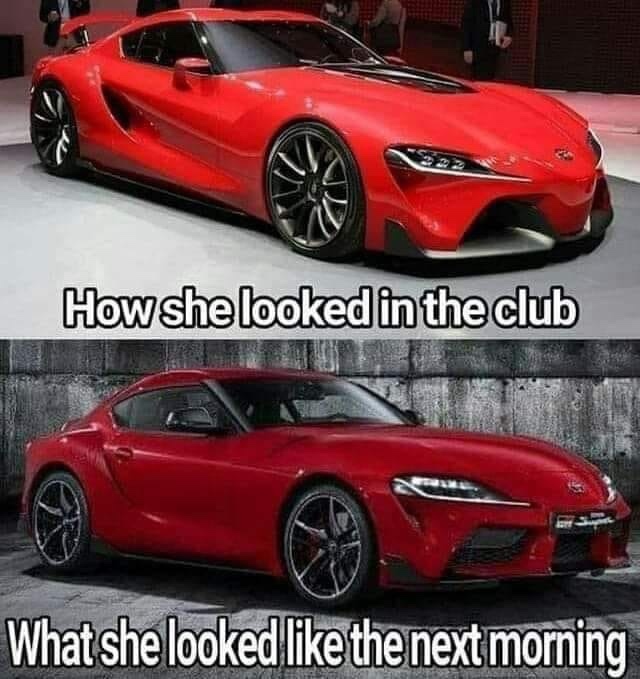 They're already fiddling the numbers of the Z4 to try and separate it from the Supra being the sister car.